We have a day room which provides a bright, uplifting, friendly space for residents and their visitors to socialise together. 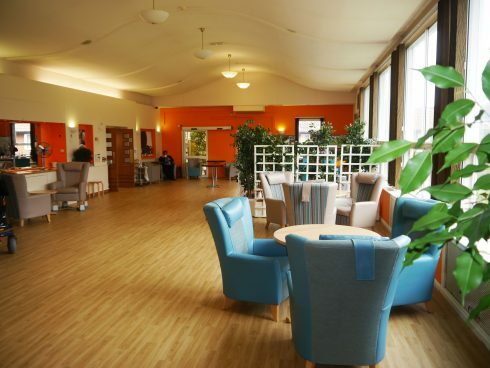 Residents benefit from this facility, resulting in reduced social isolation and loneliness and an increase in new companionship and social interaction. Residents and visitors can also take advantage of our free Wi-Fi internet access to browse the web or check our Twitter and Facebook pages, which are constantly updated with the latest news and photos from around the charity.